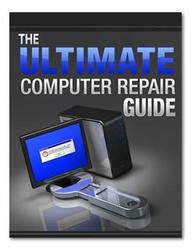 See "Removing the Battery Pack" on page 46. Remove the Mainboard. 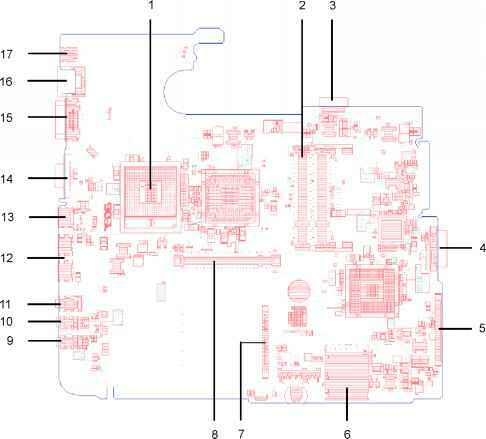 See "Removing the Mainboard" on page 85. Turn the Mainboard right side up, and place it on a clean surface. 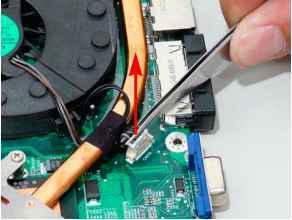 Using tweezers, grip the cable connector and disconnect the Fan cable from the Mainboard. IMPORTANT:Do not grip the cable itself to prevent stripping. 5. Loosen the three captive screws from the heatsink. 6. Lift the cover to expose the single securing screw. Remove the screw. Lift the Fan module clear of the Mainboard. How to remove cpu fan aser aspire 7730? How to clean the fans on an acer travelmate 7730? How to clean fan acer aspire 7730? How to remove the cpu fan Acer Aspire 5050? How do i clean my fan on acer travelmate 7720? How to clean the fan on laptop acer aspire 6530? 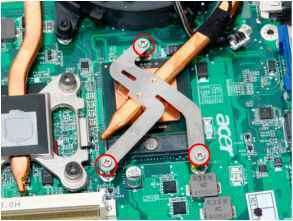 How to remove fan plug on acer aspire? How to clean up 7730g fan? HOW TO CLEAR THE FAN OF ACER ASPIRE 3680? How to clean fan on acer aspire 5935g? How to clean the acer aspire 5730 heatsink and the fan? How to clean fan on aspire 8930? How do i clean the heatsink in my acer travelmate 8000? How to clean acer aspire 5050 fan?